I learned how to make a Coca Cola ham recipe many years ago. When I tasted one baked like this I found it to have a very good taste. Not knowing at my first taste that it had been basted with Coca Cola, of course, I had to know how my friend baked this ham. Now I have always been fond of Coca Cola, especially when I was young. We never had soft drinks in our home all the time back then; that was a luxury we couldn’t afford. When we had a special event like a family reunion, then we would have a few extra Coca colas left; these were the very little bottles (I think around 6 ounces). If I was able to have one of these I would sip on it ever so slowly to try and make it last. It was so good in the hot summer! 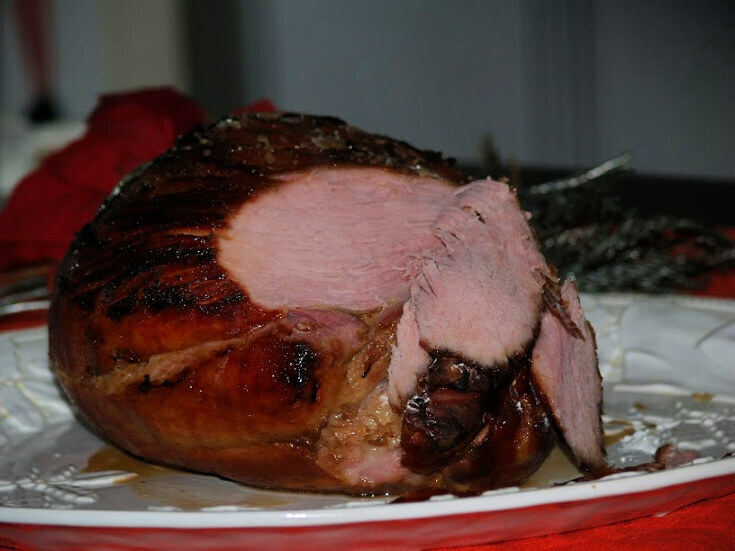 When I first learned how to make a Coca Cola ham recipe, cooking anything with Coca Cola was a whole new idea for me. I do not know who came up with the idea of enhancing food flavors with this product but it really does work. If you ask me how to bake a ham, I would have to suggest you at least try using this soft drink. I think it does so well with ham because it seems to cut the fat and salt taste often associated with this meat. As we call it, Coke was first made in the South; a place where food is just a part of the culture. It is no surprise that someone quickly incorporated this favorite drink into the Southern cuisine. I use to have a problem mixing something sweet with food that was not supposed to be sweet. My friend learned how to make a Coca Cola ham recipe and at first I thought it was a joke as she often joked. Then I thought about how we use to take Coke syrup for an upset stomach (When I was young and worked at the supermarket, if anyone got an upset stomach, instead of sending us home we were given a dose of Coke syrup; instantly it was better) My narrow thinking expanded to “why not cook with it? NOTE: I usually buy my hams when they are on sale at the local market. They will slice them “free” which makes nice neatly cut servings. For this reason I do not “score” the ham but instead I tuck the whole cloves between the slices; then I top with pineapple slices and cherries. Cook ham until ham reaches an internal temperature of 160F degrees for “cook before eating ham”. Cook ham until ham reaches an internal temperature of 145F degrees for “ready to eat ham “. Combine and mix brown sugar, dry mustard and bread crumbs. 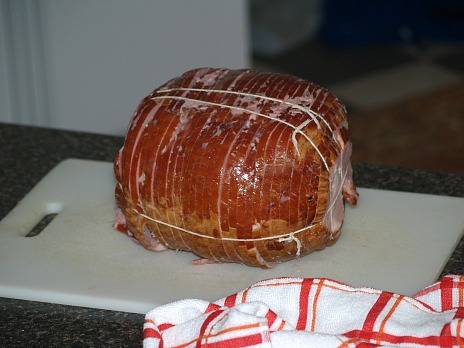 Remove ham from oven, remove skin from ham; cover top of ham with brown sugar mixture. Score ham in diamond shapes and stud with whole cloves. 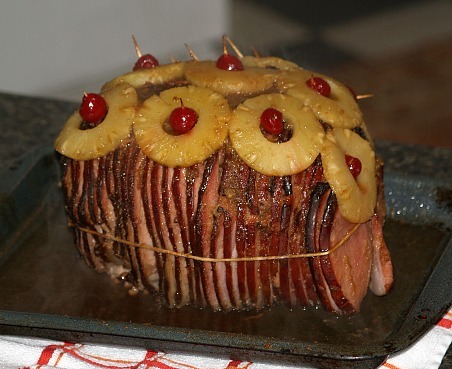 Place pineapple slices over top of ham and place a maraschino cherry in the holes of the pineapple slices; hold in place with toothpicks. Slowly pour Coke over the ham; bake for 35 minutes basting with coke drippings about 3 times during baking. Let set 20 to 30 minutes before slicing. 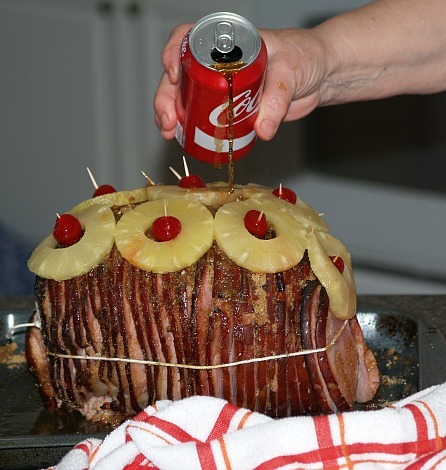 Pour Coca Cola over the ham; bake 45 minutes basting every 15 minutes. Combine and blend vermouth, orange juice, honey, cloves and mustard. Pour vermouth mixture over the ham. Bake and continue basting every 15 minutes for 35 minutes. Remove ham from oven: INCREASE OVEN TEMPERATURE to 450F degrees. Sift powdered sugar over the ham; bake 10 minutes until glazed. 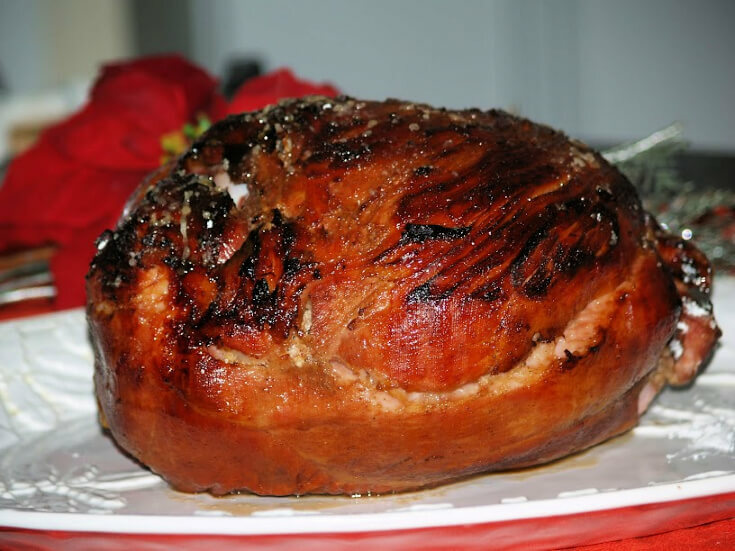 This delicious cherry glazed ham recipe is a Coca Cola ham recipe made with cherry coke. It makes a great holiday presentation. In a saucepan combine preserves, cherry Coke, corn syrup, cinnamon, nutmeg and cloves; bring to a boil while stirring for a couple minutes. Trim skin off of ham and score top; spoon some of the cherry mixture over the top and place in the oven. Bake until internal temperature reaches 145F degrees; baste with sauce occasionally while baking. A thick slice of Coca Cola ham with this cranberry sauce recipe makes a nice presentation for holiday dinner. Place Coke and cranberry sauce over low heat until cranberry sauce melts. Add in drained pineapple chunks and drained cherries; cook until hot. To serve, cut a slice of hot baked ham and spoon hot cranberry sauce recipe in the middle of ham.